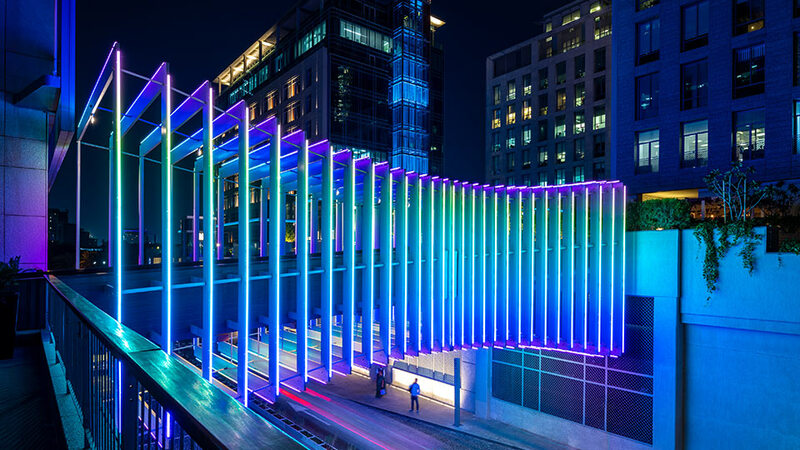 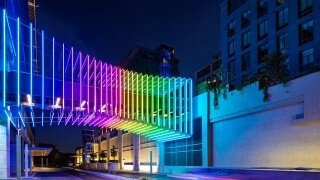 Working closely with 10DESIGN we’ve designed and implemented a vibrant architectural lighting scheme for Dubai International Financial Centre’s (DIFC) Gate Village – a destination where “art, commerce and cuisine meet”. 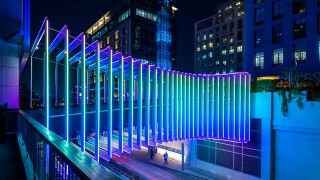 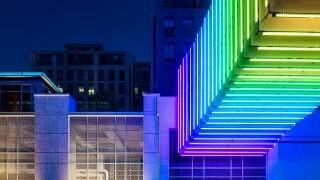 The outdoor lighting solution brings the village to life through light and includes two show-stopping illuminated bridges, which connect high-rise buildings either side of the street. 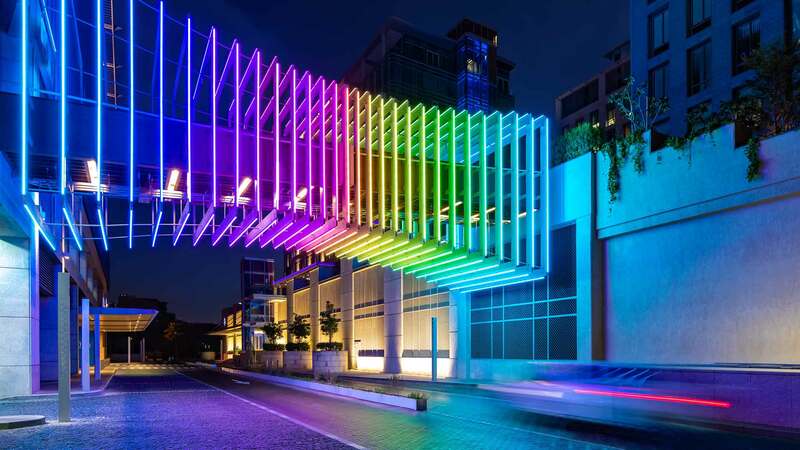 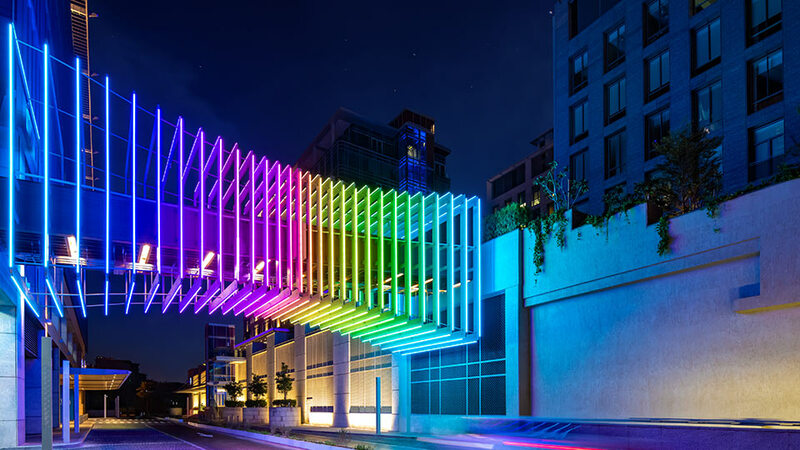 The ribs of each bridge are mounted with linear RGB media tubes to strengthen the architectural shape and generate a vivid, fun light display when in colour-changing mode. 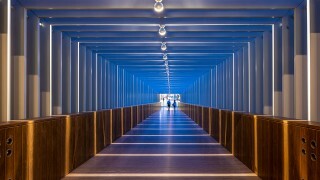 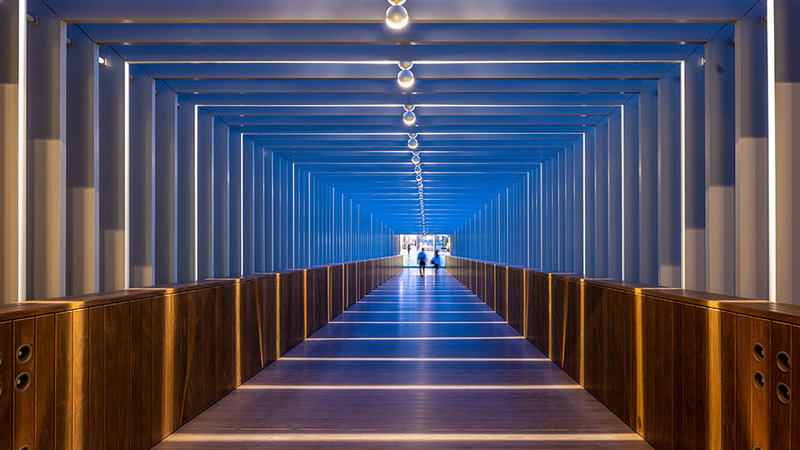 On the inside of the walkways, halo luminaires on the ceiling create a striking 360-degree light portal as people walk through. 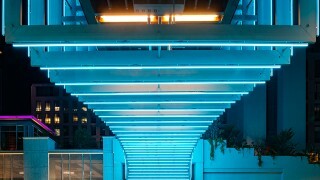 Along the main street we took a layered lighting approach to pathways and landscaping. 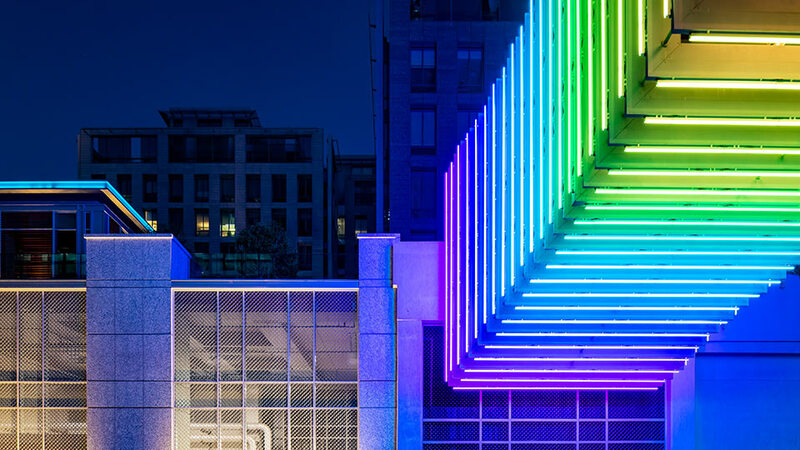 Planting is highlighted and the base of planter boxes feature integrated lines of light to give the illusion that they’re floating. 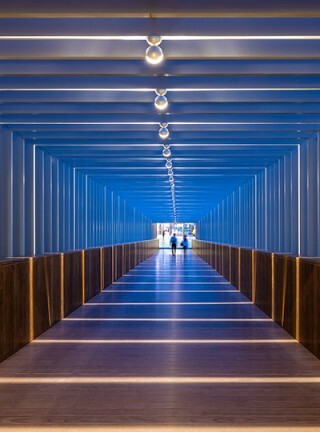 To pull the eye through the space and highlight textures in the architecture, the walls of surrounding buildings have been washed with light, while carefully located radiant poles provide a uniform level of illumination. 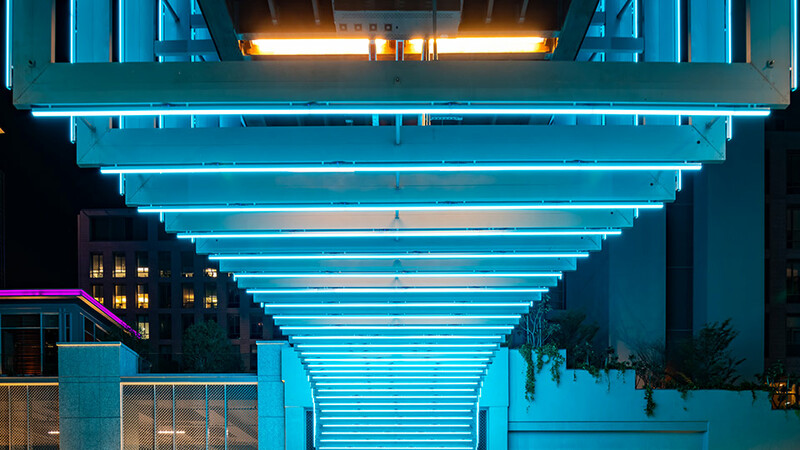 It's evident by the reaction of the users of the space that we've achieved our client's goal: to create a wonderful urban environment for workers, visitors and local residents.